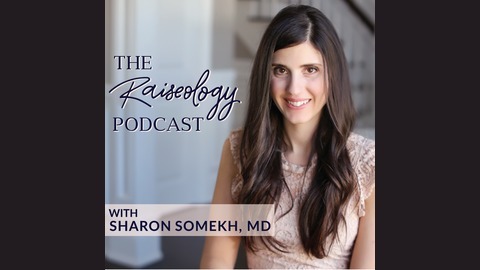 Sharon Somekh, MD, founder of Raiseology.com and the Raiseology Signature Program, brings you actionable advice and answers to common parenting struggles. 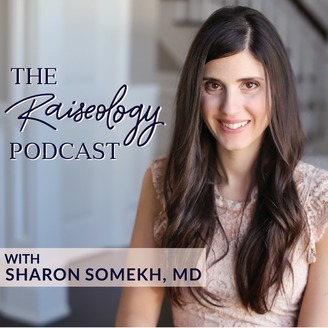 As a pediatrician and working mother of 4, Sharon shares simple solutions that have helped her patients thrive over the last 10 years. Through her solo shows and interviews you will learn how to raise strong and resilient kids you enjoy, while successfully balancing your relationships and self-care. The Raiseology podcast is your weekly lesson for successful parenting! Have you thought about how exactly you want to show up as a mother? We’ve talked previously about getting clear on who we’re raising our kids to be, but today we talk about who we want to be as mothers. Stephanie Nichols, author of Create Your Calm: A Guilt-Free Journey to Peaceful Motherhood, shares how we can start being intentional about the way we show up for our kids and how to begin the inner work that we may need. Check out the show notes for all the links mentioned in this episode! Thanks for listening and head over to the Raiseology Parenting group to continue this conversation! Thanks again!